Description: Ally Craft with 15hp Yamaha, complete with safety gear, boat loader and fold up trailer. 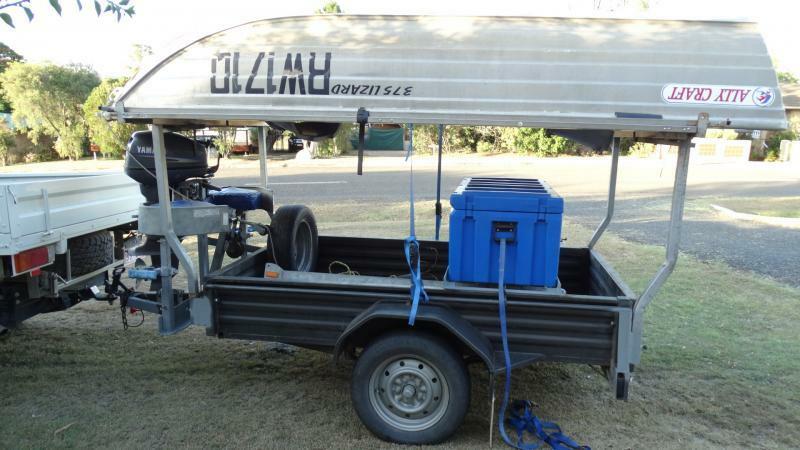 Available set up on box trailer or without for you to mount on your camper trailer or ute. Easy to set up, pack up 12v remote control winch with Anderson plug. Give me a call to discuss, negotiable on price or if you have a Kayak maybe we can do a deal. How much are you wanting for the package as is? What sort of kayak are you interested in trading? Will wait on getting a kayak till summer comes.